Kyivans in for lawsuits from the water utility companies. Kyiv mayor's office decided to launch raids to detect undocumented residents, deputy head of Kyiv City State Administration Petro Panteleyiv said to the Website of the City of Kyiv. "We with the police in the spring of 2017 will carry out passport control in the city's houses and apartments to see how many people are legally residing in apartments, and who is not registered," he said. Later in the day, Panteleyiv's spokeswoman Yuliya Hramotna said in a comment to LB.ua that the purpose of door-to-door checkups will the fight against the practice when tenants pay for utility services less than they in fact consume, using the absence of meters. The words of Panteleyiv were misconstrued, said Hramotna. "The statement was made in the context of checking houses with apartments not equipped with hot and cold water counters. In some cases, the number of registered tenants does not match the actual number of living in the apartment. Such households may underpay for utilities they in fact consume," she said. According to her, the inspectors will visit apartment to check the actual number of tenants. 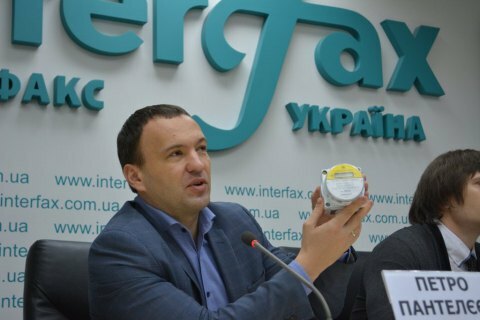 Should the residents ignore the checks, the energy company Kyivenergo and utility company Kyivvodocanal may file lawsuits. Kyivvodocanal and Kyivenergo will visit apartments to see whether the number of tenants corresponds to the number of actual residents. The owners of apartment will be also offered either to install counters or pays for the actual number of tenants, - or go to court. According to Hramotna, the city has yet to decide on the date of the beginning of the checks but it will be sometime in spring, so residents will have time to install water meters.